These crochet baby sweater patterns are so adorable! 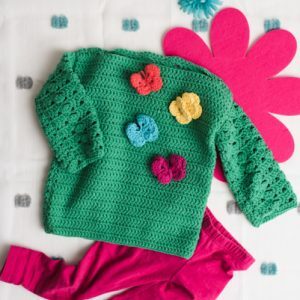 See how you can quickly and easily make your own darling sweater that’s perfect for your little one. These baby sweaters are also so quick to make since they’re so much smaller than regular designs. Find the perfect Christmas or birthday gift for your little one here, or find inspiration for the best baby shower gift ever! These baby sweaters will keep your favorite little one warm and cozy – and oh-so-stylish. 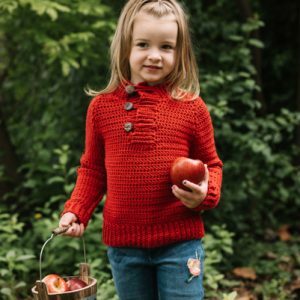 With crochet baby sweaters, you can be sure your little one will be super warm since you can choose the perfect yarn for the job – from chunky and bulky to soft and lightweight, whatever type of sweater you’re looking for, you’ll find it here. You can find some darling baby cardigan patterns as well as traditional crochet pullovers. For the littlest social butterfly, this sweater will be the highlight of her new spring play clothes. Crochet as many butterflies as you would like and pretty soon she’ll be asking for butterflies on everything you make for her! Lions, and tigers, and panda bears – oh my! 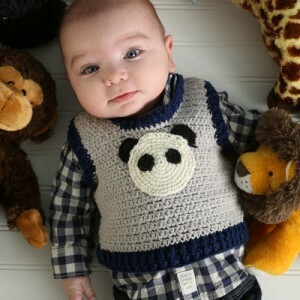 Crochet a panda bear applique for a cute vest that’s perfect for family get-togethers. 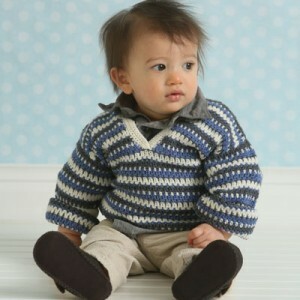 Nautical blues and grays make this toddler sweater a summer must. Set sail with this pattern and you’ll be done crocheting it in no time at all. 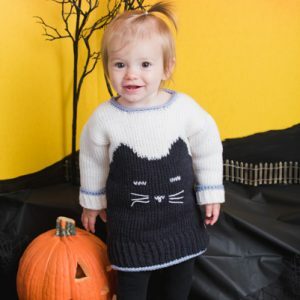 Adorable doesn’t even begin to describe this toddler long-sleeve tee. Little bows crocheted into the sleeves and the back make the top really special. Watch out though, she’ll be asking for one in all of her favorite colors! Your little man will be so cozy in this little hoodie. Featuring three crochet cables and a two-button placket, this is the hoodie pattern you’ll want to have on hand. This unisex pint-sized pullover is sure to please. This project features ribbing at the sleeves and hem, a shawl collar, contrast bands and a decorative toggle.